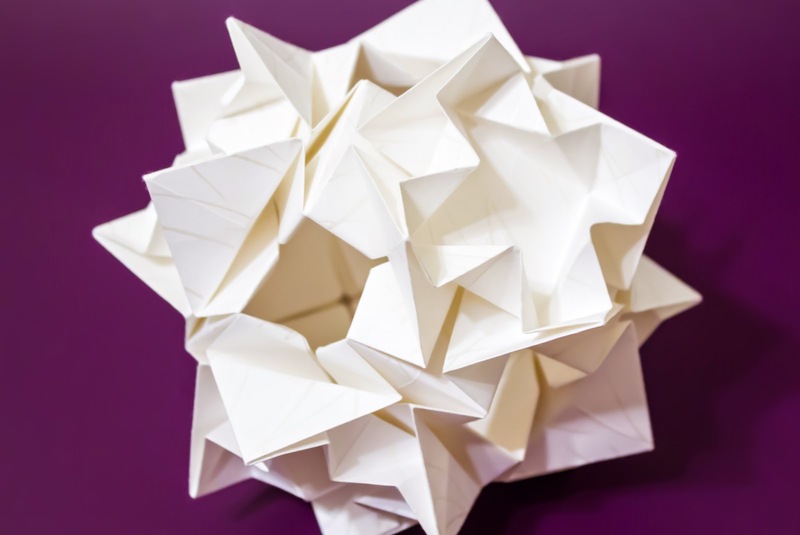 I was attempting to move on from the Butterfly Cube to the Flower Cube in Meenakshi Mukerji's Origami Inspirations, when I struggled with the squash fold in step 8 and just started playing with folds. I am sure this is already discovered and documented as some other model, but for the moment I will consider it a wonderful accident. 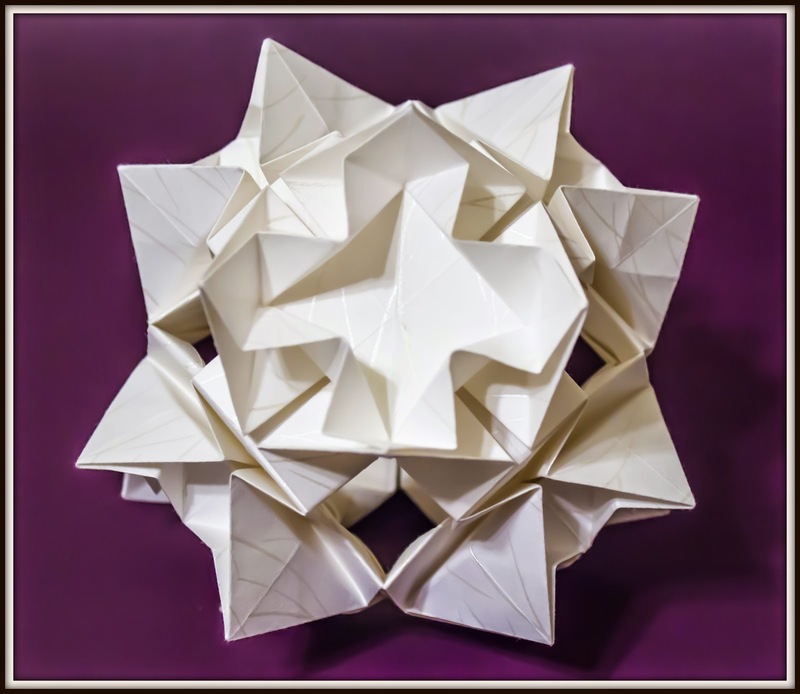 I created this model with Spring Opaque Meadow White paper machine made in Japan and purchased from Hollander's in Ann Arbor (my new favorite store). It is made up of 6 units and constructed using tabs and locks, no glue.